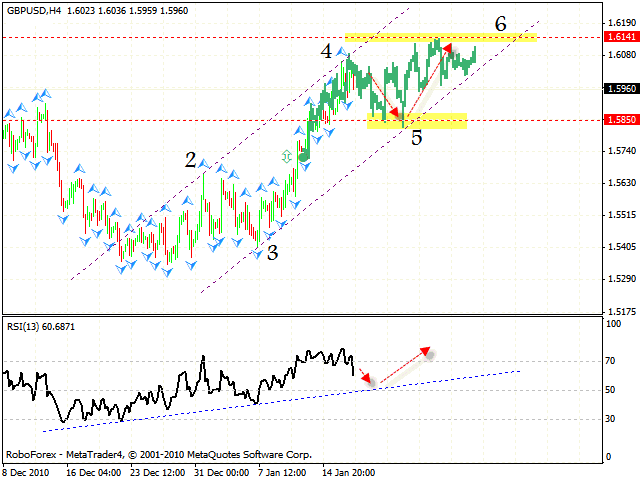 HomeFor ClientsAnalyticsForex Analysis & ForecastsForex Technical analysis and forecastsForex Technical Analysis 2011/01/20. EUR/USD,GBP/USD, NZD/USD, AUD/USD Forecast FX. 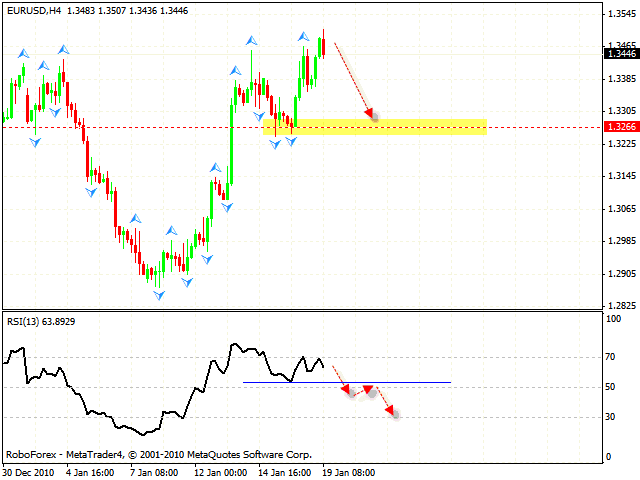 Forex Technical Analysis 2011/01/20. EUR/USD,GBP/USD, NZD/USD, AUD/USD Forecast FX. According to the eurusd forecast at the H4 chart we can see the formation of the “failure swing” reversal pattern forming at the RSI with the target in the area of 1.3266.If the price breaks the support line at the RSI, it will be a strong signal to sell the pair. Aggressive traders can start selling the pair with the tight stop even now. 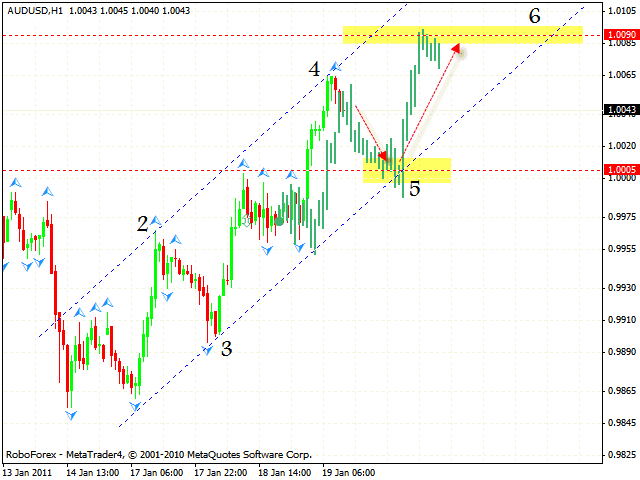 At the M15 forex online chart all the targets of the rising pattern have been reached. 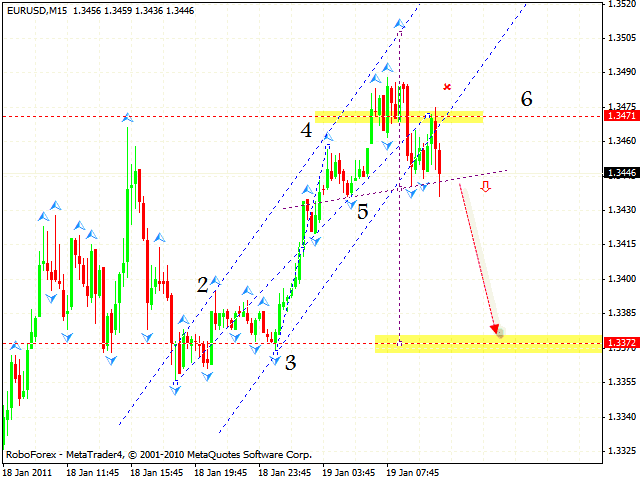 Currently we have “head & shoulders” reversal pattern forming with the target in the area of 1.3372. One can try to sell the pair with the stop above 1.3485, but should increase the amount of short positions only after the neckline is broken. According to the gbpusd forecast the GBP/USD currency pair is still expected to fall into the area of 1.5850 where we can try to buy it. The test of the trend’s rising line at the RSI will be one more signal to buy the pair. But if the price breaks the channel’s lower border, we recommend you to stop buying. Yesterday the NZD/USD currency pair reached all the targets of the rising pattern. 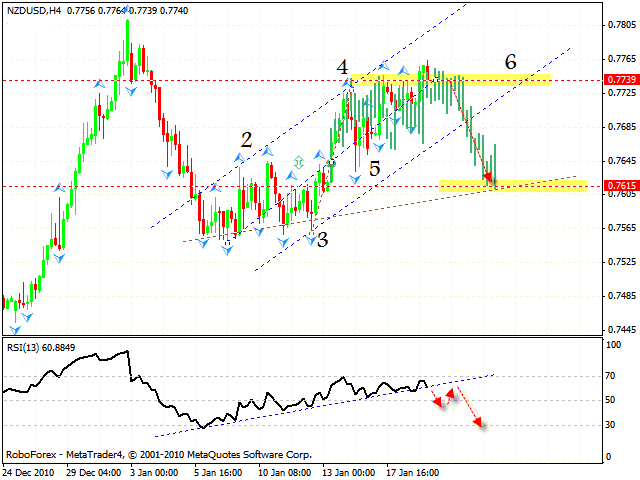 Judging by the nzdusd forecast there is a possibility that the price will move down into the area of 0.7615. If the price breaks the trend’s rising line at the RSI, it will be a signal to sell the pair. Also in this case we can expect the test of the similar trend line at the price chart. As it seen from the aud usd analysis in case of Australian Dollar we have the rising pattern forming with the target in the area of 1.0090. We should expect the price to be corrected into the area of 1.0005 where we can try to buy the pair. But if the price breaks the rising channel, one is recommended to close long positions.